- Jack Murphy, Vice President, Nassau Printing Machinery, Inc.
Two members of our senior team (including our founder) have worked together at CCG for over 30 years. Four members for over 13 years. And, all have over 25 years industry experience. TWO OF THE key values prized by CCG are Qualifications and Experience. These values are personified by our group and divisional leaders. Some members of our senior team have worked together for over 30 years and all but one have been together as a team for over 13 years. When these two values are combined with the other CCG values: Independence, Commitment, Attention to Detail and an Obsession with Detail—we trust you can see why our clients see us as such a potent plan consulting and administration organization and why so many of them have relationships with us that also span decades. Tony has been with CCG for over 18 years. In his role of in-house counsel, Tony is responsible for all aspects of design, installation, operation, reporting, disclosure, and compliance for qualified and non-qualified plans and trusts. 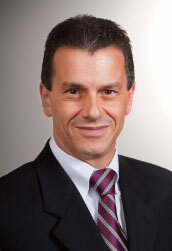 Tony received his accounting degree in 1990 and went on to earn an MBA in 1991 and a Masters in Taxation in 1992. He received his law degree in 1994 from Hofstra University School of Law. He practices before the Internal Revenue Service and Department of Labor and is admitted to practice before the U.S. Tax Court. In addition to training and advising the management and professional staff of CCG, Tony is also an approved continuing education provider and frequent lecturer to consultants, CPAs, attorneys, and other advisors. Donna has been with CCG for 30 years and has, over the years, been responsible for all aspects of the group’s operations. Currently, as Director of CCG Benefits, Donna directs the professional staff of the Benefits division. Donna personally meets with clients and their advisors and also ensures that every client need is responded to in an accurate and timely manner. Donna is a graduate of Brooklyn College with a Bachelors Degree in Education and a minor in Mathematics. She is also a member of the American Society of Pension Actuaries and the International Foundation of Employee Benefit Plans. 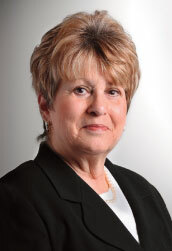 Donna has conducted state-accredited continuing education seminars for accountants, financial planners and accounting organizations including the National Association of Accountants, the National Conference of CPA Practitioners, and the New York State Society of CPA’s, Nassau and Suffolk Chapters. Kevin has been with CCG for over 18 years. 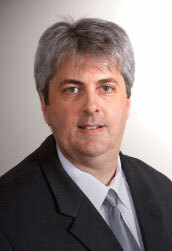 As Director of CCG Pensions, Kevin directs the professional staff of the Pensions division. He is responsible for all aspects of administration on qualified plans and trusts. Kevin personally meets with clients and their advisors and also ensures that every client need is responded to in an accurate and timely manner. Kevin has been in the pension field for over 34 years, starting his pension career with New York Life Insurance Company in November 1975, just after the enactment of ERISA. Throughout his career, Kevin has been responsible for creative retirement plan designs, actuarial valuations and FASB compliance, VEBA administration, Employee Stock Ownership Plan administration and 401(k) recordkeeping. Kevin is a renowned expert in the pension field and has represented clients for IRS, PBGC and DOL audits. Kevin is a frequent guest lecturer at consultant, CPA, attorney, and other advisor seminars. John has been with CCG for 14 years. As Vice President of CCG Investments, John directs the professional staff of the Investments division. He is also the division’s Chief Compliance Officer. John personally meets with clients to ensure that every clients needs are responded to in an accurate and timely manner. 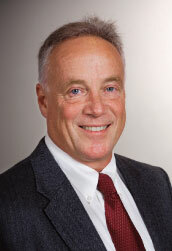 John has been in the investment field for over 24 years starting his investments career in 1984. Throughout his career, John’s focus was equity trading, including acting as head trader and managing teams of traders as well as running the day-to-day operations. John’s expertise is in equity markets, options and research. At CCG Investments, his responsibilities continue to include asset allocation of client portfolios, mutual fund research, pension plan reviews and recommendations, as well as his duties as Chief Compliance Officer.